What a week and what a weekend!! 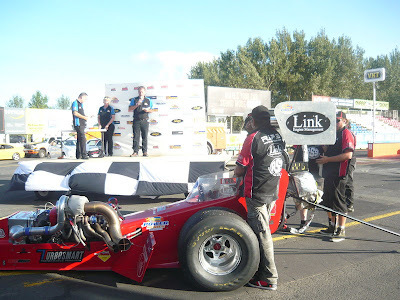 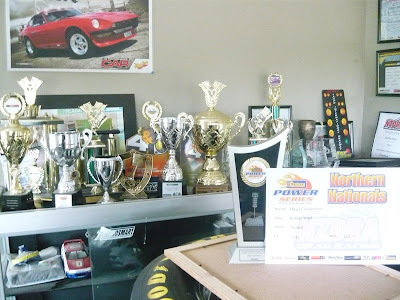 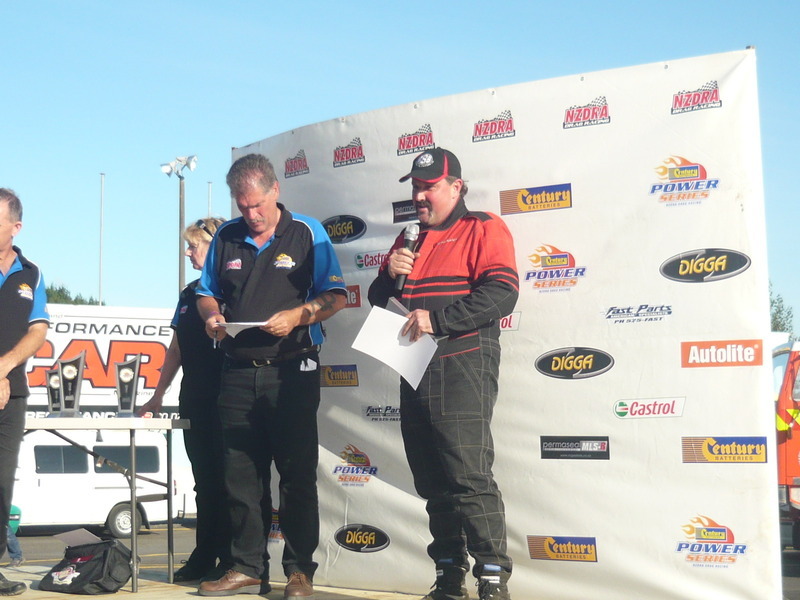 Last Sunday night none of us would have ever imagined we'd have had a new engine in the car and be at the Northern Nationals, let alone winning it and claiming 2 NZ records to boot. 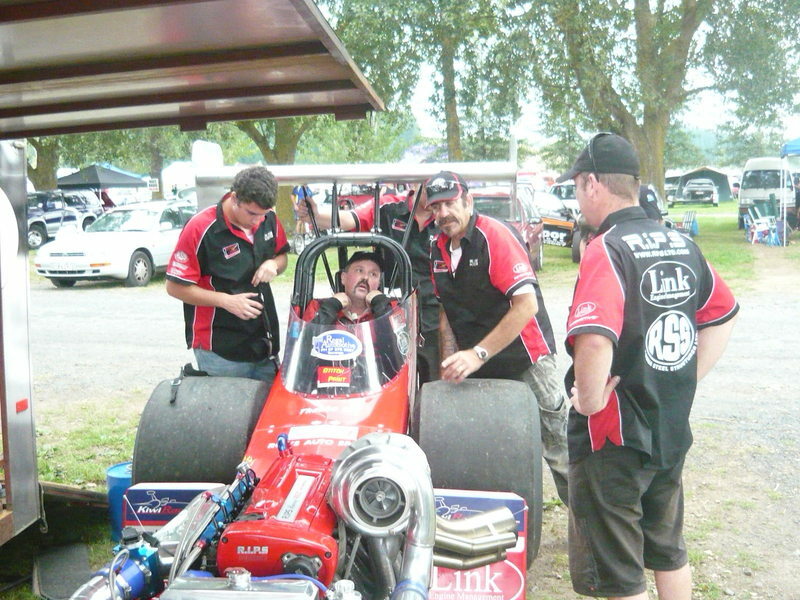 After a big blow up last weekend we worked hard and got a "bitza" motor together and were all in and running at 3pm on Thursday, we were "running in" the motor and testing Co2 injection on Friday, doing our usual prep and loading up on Saturday and racing on Sunday, I really have to thank all the guys who helped out, without all of them we'd never have made it. 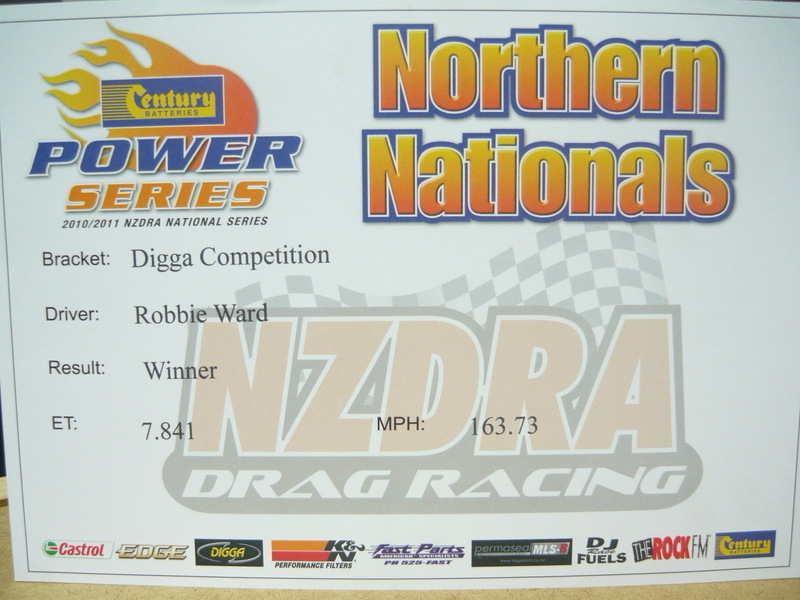 We had the car all set up for EE/D which means we can't use Nitrous and the current NZ record for the class was 9.22. 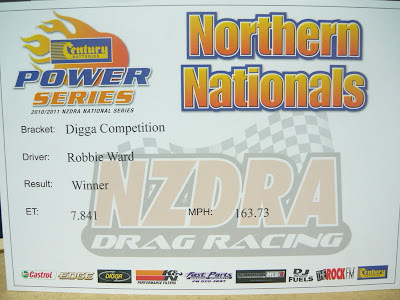 On the way to the drags we set a goal of qualifying No1, winning the meeting and claming both the ET and mph records for EE/D as that would give us maximum points and a substantial lead in the NZDRA championship we were already leading after round 1. 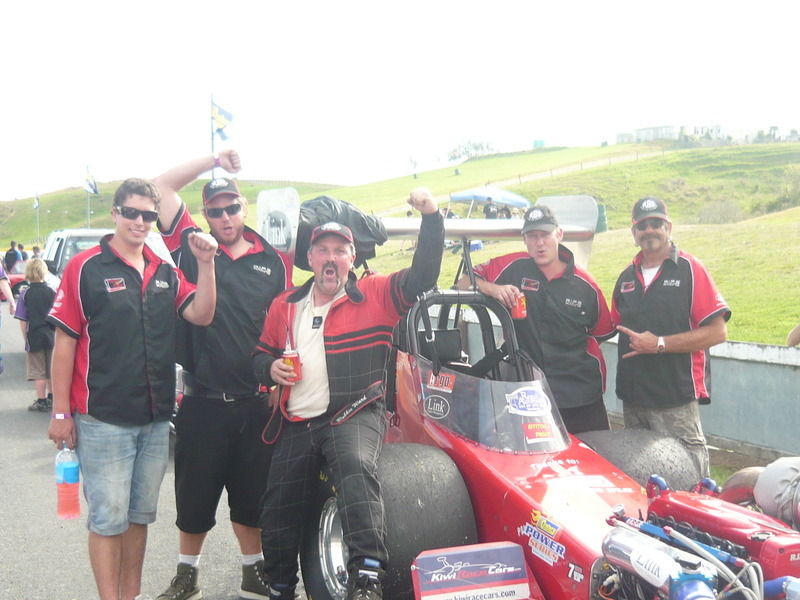 Everything went exactly to plan, we ran 7.8s with a mild "run in tune" lol, we claimed max points after a great days racing and we were all absolutely over the moon. 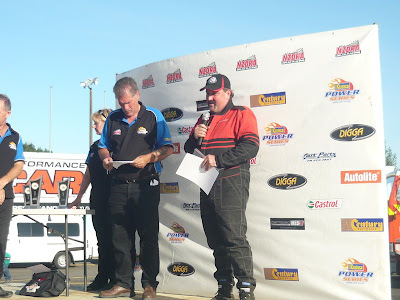 Big thanks to Brett, Brad, Spook, Jason, Sheryl, Annie and all my sponsers and supporters, I have a great team and it really shows when the going gets tough. 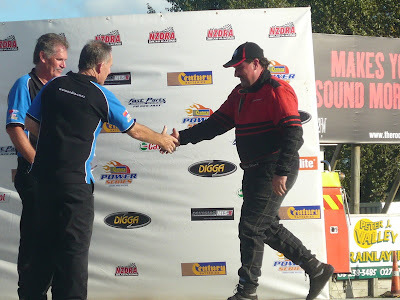 Quite an emotional speech to thank "the boys"
The next meeting is this coming weekend, about 600 miles away in Christchurch, so thats going to be an interesting 6 days I'm sure.